Thank you for your interest in My IEP. 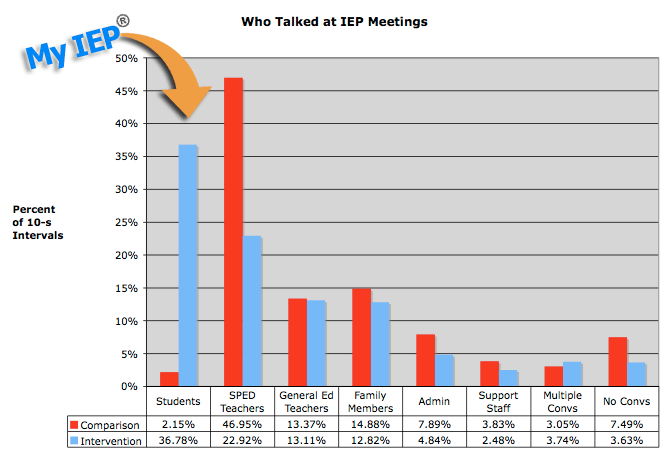 In the original quasi-experimental study, using the My IEP curriculum raised student active participation (as measured by percentage of talk time) in IEP meetings from a mean of 2.15% to 36.78%. Special education teacher talk time was also reduced, from 46.95% to 22.92%. My IEP meetings were shorter, students recalled significantly more IEP knowledge, and parents, students, teachers, and school staff were happier. Folding graphic organizer templates. Print as many as you need for the students on your caseload. 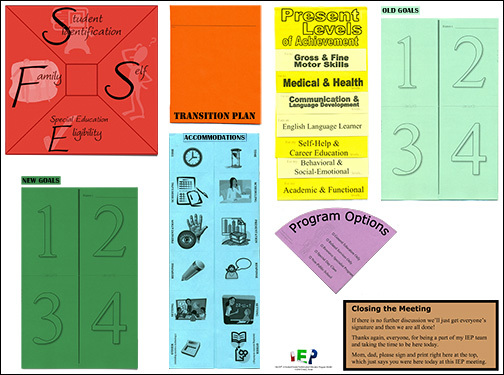 Scripted lesson plans in Essential Elements of Effective Instruction (EEEI) format. Authentic video example of a student leading her IEP meeting using My IEP curriculum. Step-by-step demonstration videos on how to make each folding graphic organizer. Step-by-step demonstration video to make a 'placemat' students can use to keep graphic organizers in order during the meeting. Additional resources, including IEP invitations for the student to distribute, accommodations and assistive-technology checklist, name tent template, and more. Ninth grade students were participants in the initial study, but if you are interested in participating in future students to explore using My IEP at various grade levels and with students who have various disabilities, please contact david.royer at Hawaii.edu. To learn more about the original study and the benefits to students leading their IEP meeting, please see the article published October 19, 2016 in Exceptionality at http://dx.doi.org/10.1080/09362835.2016.1216850.